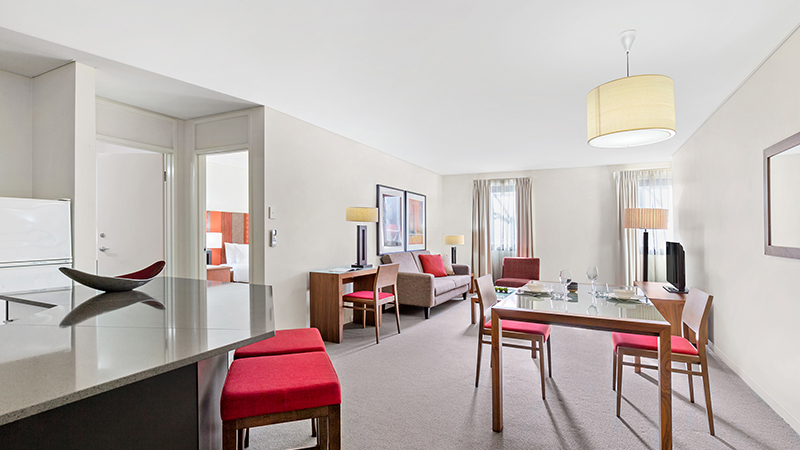 Apartments conveniently located on the eastern side of Perth's CBD, perfect for business and leisure travellers alike. Conveniently located in East Perth, Mantra on Hay is within easy reach of premier shopping, dining and entertainment. 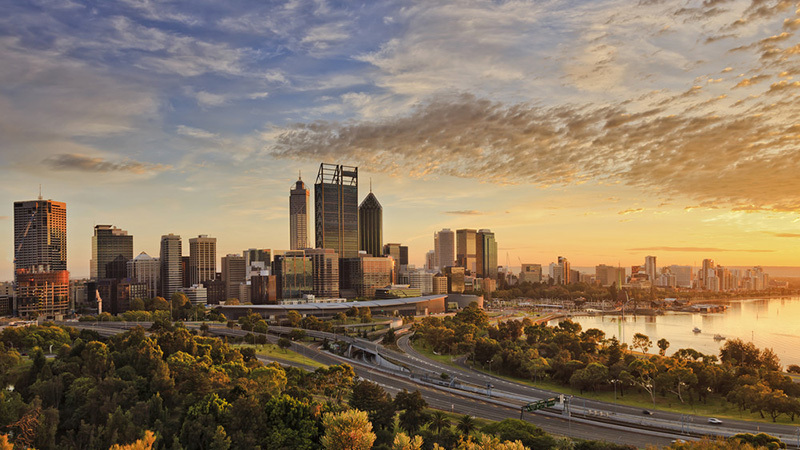 The Swan River, the WACA and other popular attractions are all just a short walk away, and various business districts easily accessible. Mantra on Hay is the ideal base whether you're enjoying an overnight, short-term or long-term stay. Our Hotel Rooms and self-contained One and Two Bedroom Apartments mean there is an option to suit every guest and with all rooms offering wireless internet access corporate travellers are well looked after. 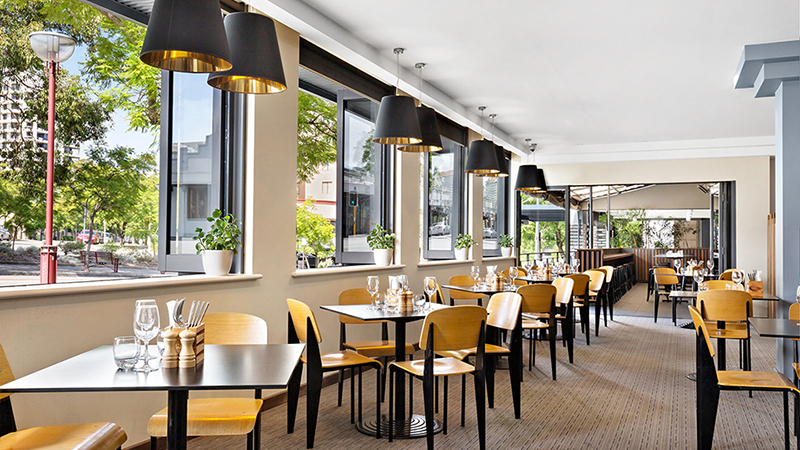 Mantra on Hay offers award winning dining with Cornerstone Bar & Kitchen and guests are invited to relax by our indoor rooftop pool which offers spectacular views of Perth city. At Mantra on Hay we can attend to all your conferencing needs with our function room catering to 90 delegates or as many as 100 for a cocktail style event. 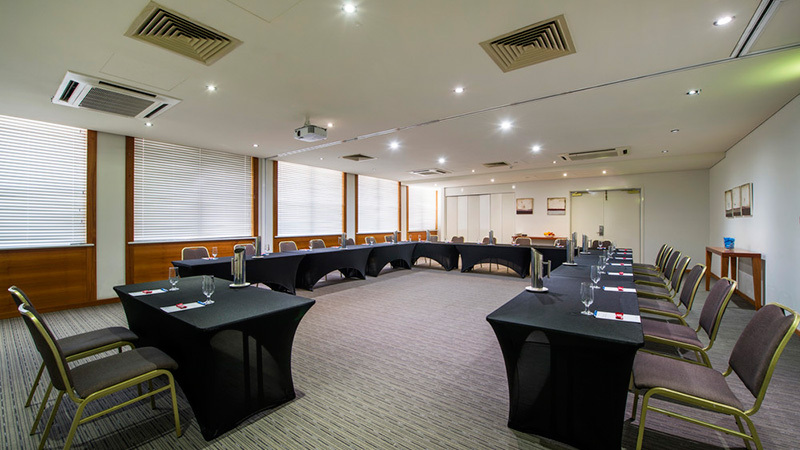 Our well-appointed Perth conference venue offers an abundance of natural light and our dedicated conference and events manager can assist with all the finer details. Upon check in, guests are required to provide photo ID and a credit card pre-authorisation. A $200 credit card security bond is required for the 3 Bedroom Apartments. Normal bond policy applies to all other room types.